Richard F. Jensen, Ph.D., has been a licensed clinical psychologist in Washington state since 1985 (License #PY00000987). He completed his Bachelor of Science degree in psychology at the University of Washington. He completed his Masters degree and Doctoral degree in Clinical/Community Psychology at the University of Wyoming (an APA-approved program). He completed a pre-doctoral internship at the Morrison Center for Youth and Family Services in Portland, Oregon (an APA-approved program). He completed a post-doctoral fellowship and was later employed as Staff Psychologist at Children’s Hospital and Medical Center in Seattle, Washington. Prior to entering his private practice full time, Dr. Jensen was employed as Associate Professor of Psychology and Department Chair at Seattle Pacific University and as a psychological consultant to the Swedish Hospital Eating Disorders Program in Seattle, Washington. In addition to his private practice, he had an appointment as a Clinical Instructor of Psychiatry and Behavioral Sciences for the University of Washington Medical School. Dr. Jensen’s theoretical orientation tends toward briefer forms of psychotherapeutic intervention typically involving educative, cognitive and behavioral approaches to therapy. He is Level II trained in Eye Movement Desensitization and Reprocessing (EMDR). He works primarily with adults, seniors, and adolescents, providing psychological assessment and individual and group psychotherapy. He frequently provides supervision and professional consultation services to other health care specialists. Dr. Jensen specializes in the treatment of depression, anxiety/panic disorder, obsessive-compulsive disorder, eating disorders, survivors of abuse and trauma, and psychological factors associated with medical conditions. He has a special interest in sports psychology and performance enhancement. He also enjoys conducting psychological presentations on a variety of topics associated with his areas of clinical expertise. 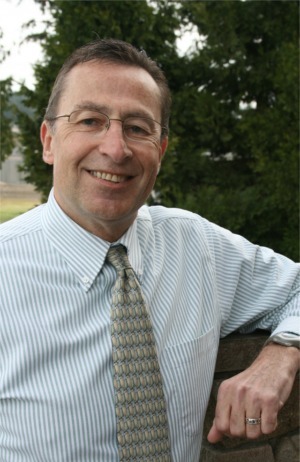 Dr. Jensen is a member of the Washington State Psychological Association and the American Psychological Association. He is listed in the National Register of Health Services Providers in Psychology. He is a preferred provider for a number of insurance and managed care companies in the Puget Sound area. He has been affiliated with the Family Center for Behavioral Health since its inception in 1994.